What does usability, usefulness, usefulness and accessibility mean and how to take those into account when developing not only a web integration project. In the last part, we described Human Centred Design. When you develop a site, you want people to start using it, to come back to it, and at best, to become its promoters. To achieve that, it is necessary for the website to have certain attributes - meaning usability, utility, usefulness, and accessibility. These may seem similar or interchangeable to some people, but there is a significant difference. We'll look into what's different and how their absence may easily confuse your site user. What we write about a website applies to mobile or desktop applications, as well. If the degree is high, the users can quickly learn how to work with the website, and its use can be very effective. Usability basically tells us how easy the website is to use. 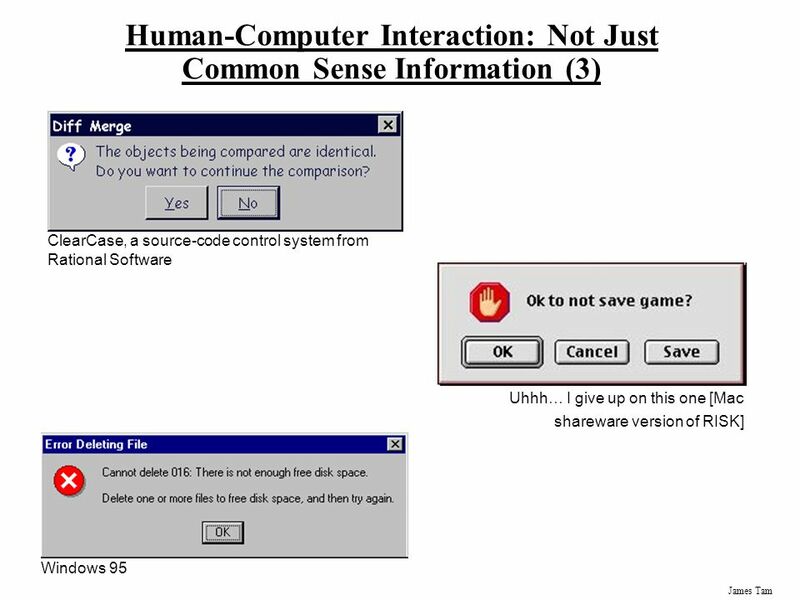 "After all, usability means that something works well and that a person with average (and even below average) abilities and experience can use a certain thing - may it be a website, a fighter jet or a rotating door - for the purpose for which it was intended, without having to undergo hopeless torture." Steve Krug, Web Design: Don’t Make Me Think! . Usability applies not only to the digital world but also to the physical world. How many times have you been pulling instead of pushing when going through a door? How many tries do you need to plug your USB flash drive in the computer? I always need three attempts, and I have just two options. Usability and user experience is dealt with by user experience (UX) specialists or designers within a site or application design. The goal of the specialists is to keep the end user's attention throughout the whole of the development cycle. To achieve this, they use for example Human Centred Design methods. How to tell that your site is usable? The best thing you can do is to sit your end user in front of the computer and watch him or her working with your website for a while. We have already mentioned the method of user testing in one of the previous parts. Another way is a heuristic analysis method, where a usability specialist (usually a UX designer) goes through your site and “reveals” basic usability errors. Such testing of a website is usually associated with a best-practice list. The best known are the so-called 10 Nielsen heuristics for user interface design. The disadvantage is that this is always the subjective feeling of the evaluator, but the undeniable advantage is the time of processing. A nice example of a violation of several Nielsen heuristics at once is the message from the old version of the MAC operating system, an error message from Windows 95 or recent message from Air France website. Would you know, without much thinking, how to save the game? Would you know how to solve the problem? Utility tells us what the web does and for what purpose it has been intended - whether it solves a problem that our users have. Does it help the users in any way? You can have a super modern, beautiful interface that collects one design prize after another, but unless it is useful for people, they will not need to use it. One of the best-known products that did not really solve any human problem was probably a device launched by Juicero, a Silicon Valley start-up. This device did nothing but squeeze a juice bag and check that the juice was not expired, even though the expiry date was written on it. The company withdrew it from sale after 16 months and after a series of videos where people are squeezing bags with their hands. Usefulness is a term very similar to utility, but unlike utility, it emphasises functionality; usefulness makes a point of the value that the website brings about. Does the site bring any value to us? How valuable does the user think specific functionalities, features, and data the site offers are? If the site fails to bring value to the user, its usability is irrelevant. This is probably still best seen in the "boom" of mobile apps. Today, you can download an app to your mobile phone for everything from an email client to a variety of "messengers," ordering food, cab, or entertainment. The question remains how many of the apps are actually used over the long term. Studies conducted in recent years show that mobile applications are not as hot as it may seem. Across all industries, 80% of applications are not used after 3 months of download. What comes to your mind when it comes to accessibility? That the site can be reached from a mobile phone and a tablet or that it can be used comfortable by people with some disabilities? Of course, the latter is correct. "Web accessibility is a degree of possibility of using the site for people with disabilities." What do you think "some disability" means? It is a relatively broad term that can include anything from common purblindness, impaired colour perception, partial or complete loss of vision, to dyslexia, etc. These are the primary groups we focus on when dealing with accessibility in web design. If you think this has nothing to do with you, try to control your device with the other hand than your preferred one for a while. If you break your arm all of a sudden, you can gain this experience very quickly. Or think of a person who switched from a less common type of device; nowadays, you can view the web from a smart refrigerator or from an office copy machine control panel. Good accessibility may be a benefit not only for people, but also for "robots" that go through and index your site. You may ask why you should make it easier for robots to crawl your site; simply put, the easier it is to navigate for the automated robot that crawls your site, the more content gets to search engines like Google or Seznam, which will make it easier for the Internet user to find you. Let's use a specific example of the "eye" control element, on a switch for instance, to show how a person with an impaired colour perception sees your site or application. Here is the original colour solution - blue eye on the left and green eye on the right. And, for example, in this the way we solve the difference for all the disabilities mentioned above. Now, you can think that good accessibility concerns a fraction of the visitors of your website; however, according to the study, 57% of adults can benefit from a well-accessible site, which is not negligible. The Web Content Accessibility Guidelines 2.0, which defines the basic recommendations for design and creation of interfaces, is the best-known and most advanced standard. In the Czech Republic, we encounter most often Act 365/2000 Coll., on Information Systems of the Public Administration. Well then, do you have a great web or application? Ask yourself the questions from this article again: what is the usability and utility of my website, which means, how useful is it, and does it meet accessibility standards? You are certain to find many areas for improvement. If you are still developing your site and you have not asked yourself any of the above questions, believe me, you should have done so long time ago. The sooner you identify errors in usability, accessibility, etc., the less the fixing will cost you. KRUG, Steve. Nenuťte uživatele přemýšlet! : praktický průvodce testováním a opravou chyb použiitelnost [sic] webu (Don't Make Me Think: A Common Sense Approach to Web Usability). 1st Edition, Brno: Computer Press, 2010, 165 s. ISBN 978-80-251-2923-4. Digital transformation refers to a fundamental change that comes with the transition to digital technology in all aspects of human behaviour.